Ayurveda has been widely recognized as a system of natural health care congenial to the health needs of women. In fact, Ayurveda attaches great importance to the various physiological conditions a woman goes through in her life, and helps women find their body rhythm, which is closely linked to Nature. Indeed, the health of the entire Earth lies in honoring the female energy and its interconnection to nature’s rhythms. Traditionally Ayurveda has been giving special attention to the problems that affect women in every stage of their lives. There are so many treatments right from herbal treatments to yoga to take care of women’s health. Meanwhile, our modern western culture can make it very difficult, especially as women, to lead a life that supports our health and sanity. Dr Claudia Welch is a Doctor of Oriental Medicine, an Ayurvedic practitioner and educator, and the author of several books about women’s health, including “Balance Your Hormones, Balance Your Life: Achieving Optimal Health and Wellness Through Ayurveda”, “Chinese Medicine and Western Science” and, “How the Art of Medicine Makes the Science More Effective: Becoming the Medicine We Practice”. 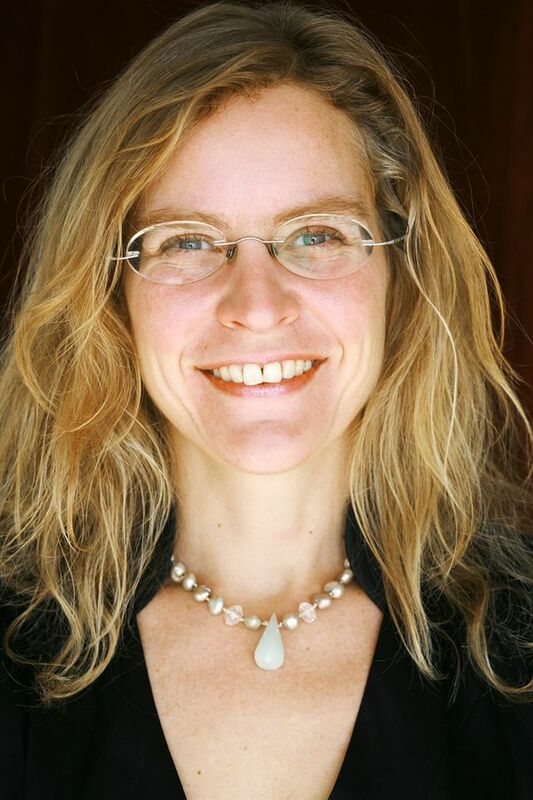 Dr. Welch lectures internationally on Oriental and Ayurvedic medicines and Women’s Health. We don’t have the chance to meet her everyday, and we fully appreciated this moment. Thank you doctor ! Dear Claudia, you are established in the Ayurveda community as a voice for women’s health. The science of Ayurveda is based on maximizing wellness longevity and spiritual evolution. How does this wisdom apply to women and what should we need to know ? Claudia Welch : As both men and women seek wellness, longevity and spiritual evolution, the same as wisdom applies to both genders. What to speak of the genders, each human being can take that wisdom and apply it personally to themselves, in the context of their specific circumstances, including the season, climate, environment, job, relationships, company and culture in which they find themselves, the diet they consume, the thoughts they cultivate and their emotional experience. Ayurveda teaches us that each of us is a microcosm of the macrocosm of the universe. Each one of us has crops within, to nourish or starve. Each one of us has wars within to be fueled or resolved. Each of us finds within ourselves beauty, health, illness, judgment, acceptance, tolerance, sloth, inspiration, heat, cold, and all the qualities present in the Universe. Each of us, many spiritual traditions teach, also has the potential to go beyond all these qualities of duality, and merge into the Unified Divine Love that is our Home and our birthright. When we see this—or at least suspect with the force of our soul—that we belong to this Heritage, I believe we make efforts to invite that loving divinity into our lives. Those efforts seem to include living the best we have the ability to live on this planet. This attempt to live well includes choosing to be aware. We choose to be aware of the effects our environment, lifestyle and diet have on us as well as to be aware of the effects we have on them. We are able to peep inside ourselves to consciously feel the effects of each morsel we eat, each thought we think, each interaction we have with other people and even with plants and our environments. Once we do this, we become internally motivated towards those foods, drinks, relationships and habits that reinforce health and less seduced by those that foster illness in body, mind or spirit. One dominant theme I have seen over the decades, is that women are becoming aware that we, as a group, have been trying to excel in a world that seems to have consensually agreed that success is measured in large part by, what Eastern medicine classically defines as masculine traits: how much money you make, how active you are, how much power, prestige and status you have in your career, how sharp your intellect and sense of humor, how high your libido is and how ambitious you are. We, as a group, from what I have seen, when we commit to our own integrity, when we commit to being honest about how this is working, are finding that it is not working. That it is not working at all. We are becoming sick inside…like someone might feel when they’ve said, “yes” to an engagement when they don’t love their partner, when they’ve been an accomplice to an activity that hurts someone. We, as a group, are beginning to commit to awareness, admit that this isn’t working, we are afraid of what will happen if we stop playing. Stop playing this game of ambitious drive. We are afraid our lives will fall apart. But we are courageously taking one step after one little step to slowing down our lives; to turning the momentum of force of attention from always pouring outside ourselves, to nourishing our interior terrain. We are learning that the rewards of this reversal are not punishing. They are life-affirming. Your book “Balance Your Hormones, Balance your Life” is a must read for any woman going through menopause and other changes of life. I’ve been wondering which choices may we do in order to grow confidently? And in this process, where do we fail most of the time ? Claudia Welch : The choice is always, each moment, to be aware. To turn our attention inward and discover our internal reality and consider calmly and lovingly what it requires. Do we require rest? Nourishment? Solitude? Tea with girlfriends? Service? What is the need of this Living Moment? And we are talking here about what the truth of the moment is asking of us—not about some fleeting sensual desire. I believe we fail only when we choose not to be aware or, once we become aware of the need of the Living Moment, if we are too afraid to respond to it in integrity. It is one of the big ironies that it seems to take the most courage to do what, in our heart of hearts, we most want to do. This book covers different sides of looking at a women’s body in and out, from the Ayurveda, Chinese medicine and the western way. How different are they ? Claudia Welch : I think that, from the point of view of a woman’s hormones, which have so much to do with women’s health and harmony, that both Ayurveda and Traditional Chinese Medicine have an incredibly helpful perspective to apply. That is the perspective of duality. And both traditions describe the relationship of duality in almost the exact same way. On one hand, we have nourishing, grounding, calming, cooling qualities—qualities classically described as feminine and that Ayurveda calls santarpana or bṛmhaṇa and Chinese medicine calls yin. On the other hand, we have qualities classically defined as masculine: stimulating, motivating, hot, mobile qualities that Ayurveda calls apatarpana or langhana and Chinese medicine calls yang. When we have balanced amounts of both sets of qualities, we experience health. When we have more of one set or the other, we experience illness to one degree or another. Hormones control practically every physiological process in the body, from regulation of metabolism to activation of the immune system to the menstrual cycle and reproduction. A precise hormonal balance is vital to proper body functioning. What are the signs of an hormonal imbalance ? Claudia Welch : There are many, but here are a few common ones. If we are lacking in bṛmhaṇa qualities, we may see hot flashes, insomnia, restlessness or anxiety. If we are lacking in langhana qualities, we might carry extra weight, feel tired, and heaviness of mind or emotions. Of course, we can have an imbalance of both at the same time, like anxiety and weight gain. We can also have too much of either category and there will be specific symptoms associated with that. I am simplifying things here. It is good to consult with experienced practitioners to understand how this simple way of looking at things applies to a specific person. Out of control, hormones could be to blame for the cravings, gain of weight, irritability, stress, disturbing the body’s ability to stabilize weight in women. What are some natural ways to treat a female hormone imbalance ? Claudia Welch : I would recommend reading, Balance Your Hormones, Balance Your Life or to take my Healthier Hormones online course for more information on this and to better understand why and when these things might work, but we can often treat hormonal imbalance through diet, lifestyle and herbal remedies with good success. One of the most potent remedies I’ve seen though is 10-15 minutes per day of gentle alternate nostril breathing—called nadi shodhana, because through harmonizing the channels associated with the right and left nostrils, it seems to help harmonize the forces of duality in the body—the forces we see represented by yin and yang. You can get a guided visualization of this on my website. Your new book is “How the Art Of Medicine Makes the Science More Effective: Becoming the Medicine We Practice.” Does this new book relate to what we’ve been talking about ? Claudia Welch : I believe it does. I believe the first step in deeply perceiving what is going on in our patients is to begin to perceive what is going on in ourselves. This is also what we need to do in order to address our own health. In How the Art of Medicine Makes the Science More Effective: Becoming the Medicine We Practice, we explore how to refine our perceptive abilities, how this assists us in communication, and how that has a medicinal effect on others. Of course this sort of thing is not confined to practitioners. We all have either a good, bad or neutral effect on others and on our environment. Another way of saying this is that we all have a medicinal, poisonous or neutral effect on those around us. And we have the ability to cultivate our own ability to become medicine. This applies to everybody. You said: “The study of Ayurveda allows you to gain greater awareness of your health and wellbeing” … and I couldn’t agree with you more! Which transforming effects have you seen in both your patients and your students’ lives ? Claudia Welch : That we begin to better and more accurately perceive and align with Reality. We begin to better hear the voice of that Reality when it tells us, “yes” or “no” at any moment. We begin to have the courage to act on that voice. And when the voice of Reality is silent, we begin to have the courage to do nothing until something else becomes clear. Claudia Welch : Thank you so much for inviting me to be with you. I am grateful for your company. Previous In interview with… Joyce Villaume-Le Don, ayurvedic practitioner in Paris ! Next In interview with… Robert Svoboda, author, teacher, and practitioner of Ayurveda and Tantra !